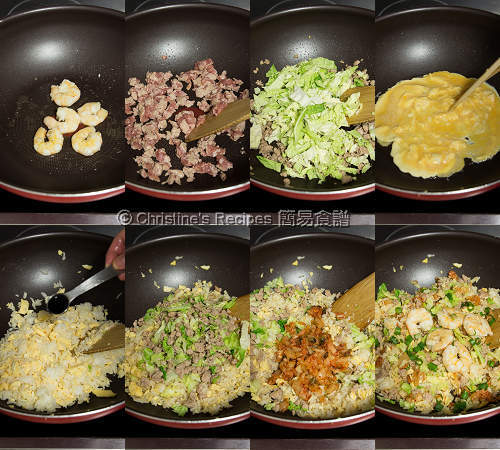 Making fried rice is a good way to use up any leftover vegetables or meats in fridge. It can be whipped up within half an hour. Then you can enjoy a well-balanced meal. I often use pork or chicken meat to make fry rice. This time I tried with turkey mince that I happened to spot the special offer at a nearby supermarket. After trying, I decided to post this recipe to share with you all. I highly recommend to use turkey mince if you have a chance to get any. Turkey meat contains higher protein with less fat. The meat texture is very soft, absolutely good for stir frying with rice. I also popped in some Kimchi and several prawns. 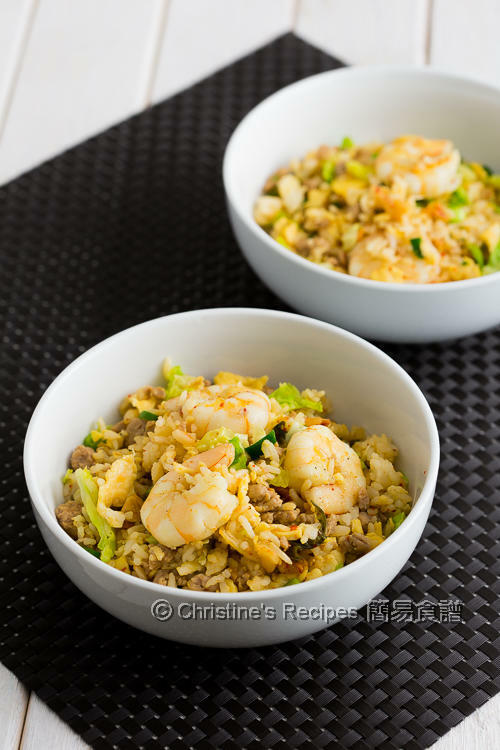 Voila, a humble fried rice dish was turned out to be a very nourishing and flavoursome one. Rinse the prawn meat. Wipe dry with kitchen towels. Season with salt and pepper. Mix the turkey mince with marinade well. Set aside for 15 minutes. Heat oil in a pan over medium high heat. Pan fry prawns until cooked. Set aside. In the same pan, add some oil to cook turkey mince until the colour changes. Use a spatula or wooden spoon to break up any lumps. Add the cabbage. Stir fry and cook until softened. Set aside. Add oil in the same pane. Pour in the whisked eggs. When the bottom starts to be cooked, use a pair of chopsticks to stir it around. Add in the steamed rice. Stir to combine. Season with light soy sauce. Toss back the turkey mince and cabbage, followed by Kimchi. Sprinkle spring onion for garnish. Serve hot. Use leftover rice to get the best results. To shorten the cooking time, you may reheat it with a microwave oven before adding in the pan. You can use freshly cooked rice though. Simply add a bit less water than you used to cook rice. If you interested in making your own kimchi, here’s an easy homemade kimchi recipe for you. For convenience, you can use store-bought kimchi that’s available at Asian grocers. The amount of light soy sauce can be adjusted to your liking. 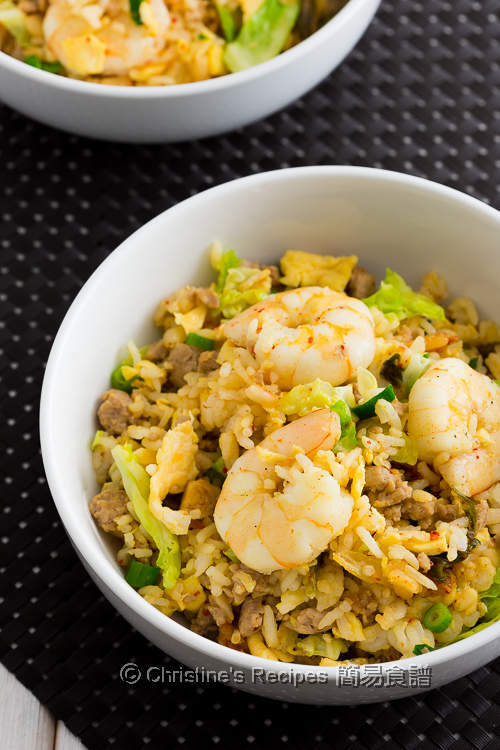 Fried rice is always a favourite and kimchi must have added so much more flavours to this homey dish.